As you may have heard (then again, why would you have? 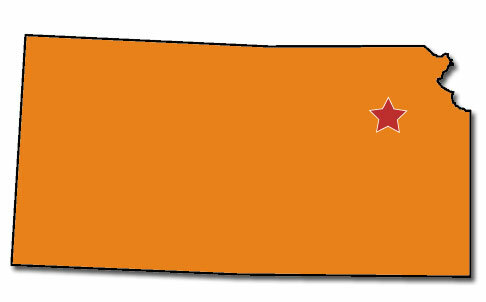 ), people in Kansas are mighty upset about their state’s new slogan, “Kansas. As big as you think.” These aggravated red staters say, first off, that people don’t think of Kansas as big. People think of Texas as big. Plus, the slogan is not unlike Texas’s official motto: “Texas. It’s more than you think.” You get the sense that Kansans wouldn’t mind an ordinary sucky motto—they just don’t want a sucky motto that makes them look like Texans. A writer named J.T. Knoll of the Pittsburg Morning Sun (out of Pittsburg, Kansas) has a fun-ish column about the ruckus here. He suggests some humorous alternatives, including “You are now free to move about Kansas” and “The incredible, edible Kansas”—a reference to the northeast corner of the state, where it looks a piece has been bitten off.